Kwara Camp is on a small island in a private concession at the edge of Moremi Game Reserve. Kwara Camp is on a small island in a private concession at the edge of Moremi Game Reserve. It has just 8 tents, giving it an intimate atmosphere, and overlooks a seasonal lagoon. It offers land and water-based activities year round for a comprehensive experience of the delta and its wildlife. Kwara Camp closes in June 2018 for refurbishment and is expected to be closed for about a year. The best alternative during this time is Splash Camp, which is in the same enclave. The traditional, walk-in safari tents are set on raised decks. They’re cosy inside, with a large bed, sisal matting on the floor, sturdy wooden furniture and meshed windows along each side. Hot water bottles provided welcome heat on cool nights. The bathroom has a rustic feel, making use of local wood to adorn the walls. There are double hand basins and a flush toilet, with a door leading to the enclosed outdoor shower. The bedroom opens onto a terrace with deck chairs and a table looking out over the seasonal lagoon. Rooms are set at varying distances from the centre of camp, and guides walk you back to your tent as the camp is unfenced and animals often wander through. The large building at the heart of the camp contains the lounge, self-service bar and gift shop. It’s been constructed around large trees which make interesting features. You’ll find a stack of books to which you can help yourself, though watching animals in and around the lagoon should provide ample distraction. Next door there’s a thatched dining area. Steps lead down from both areas to the camp fire which comes in to its own after dark, the venue for drinks and conversation. There’s a plunge pool set within a wooden deck with sun loungers. Nearby a viewing hide provides good wildlife sightings. 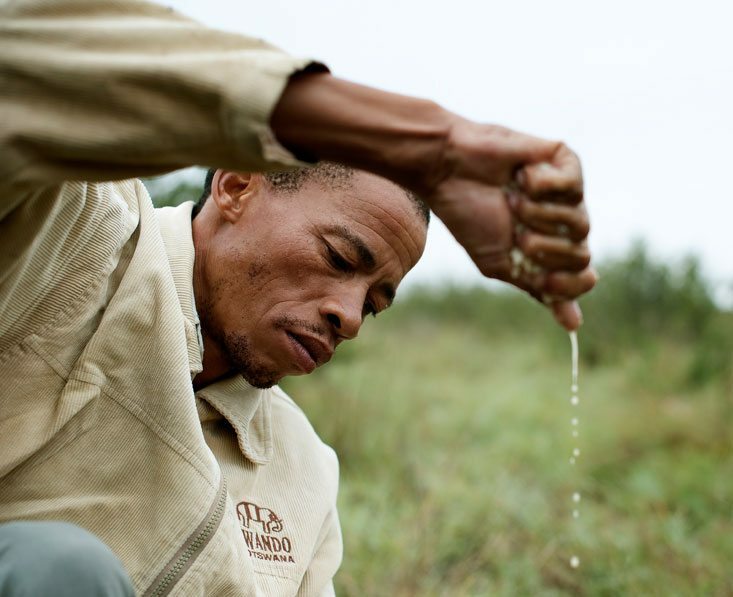 Run by Kwando Safaris, this camp has their excellent system of a guide and a tracker per vehicle, maximising your chances of spotting wildlife. 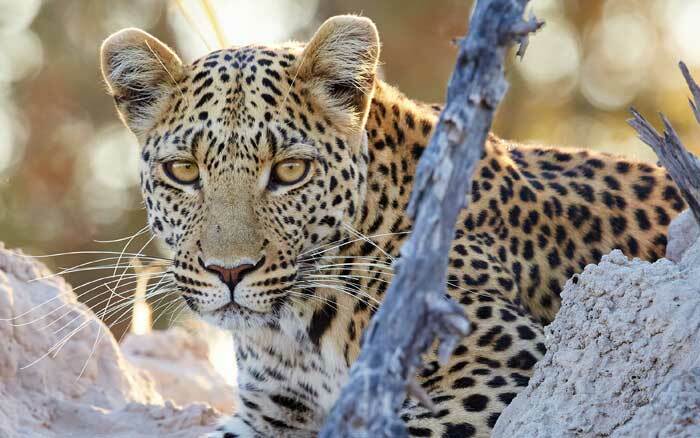 Game drives showcase the varied wildlife and you can experience the additional thrills of a night drive. Kwara has a motorised boat for water-based safaris, while sedate mokoro rides remain a favourite with all guests. Guided nature let you observe plants, smaller animals and tracks. The best camp!! Staff were wonderful here, they made you feel so welcome, our game drives were fantastic – lions, cheetah, pangolin to name a few. I loved the little touches – a bushbaby (hot water bottle) in the morning to keep you warm on the game drives and at night to keep you warm. I didn’t want to leave..
Children aged 6 years and over are welcome, though there is no specific family tent. Families with children aged 6 to 11 need to book private activities. Kwara’s Meru-style tents offer comfortable rather than luxurious accommodation. There is a private verandah, mesh windows admit light and a cooling breeze, a flap leads to the airy bathroom. 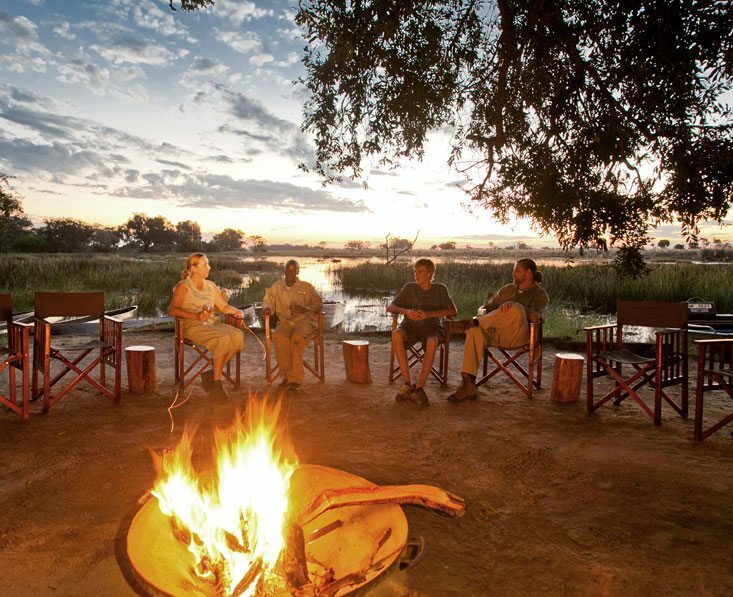 11 days from £4,435 pp This adventure covers the best bits of Botswana, staying in remote locations and lovely camps.